Set out your eggs and cream cheese so that they are room temperature when you need them. Preheat oven to 350ºF. Line an 8-inch square baking pan with foil. Spray lightly with non-stick spray and set aside. Press crumb mixture firmly onto bottom of prepared pan. Bake 15 minutes. While crust is cooking,beat cream cheese and granulated sugar with electric mixer on medium speed until well blended. Add eggs, 2 tablespoons flour, and baking powder; mix well. Blend in 1 tablespoon lime zest and lime juice. Make sure you scrape the bowl well so that there is no unblended cream cheese. Pour mixture over crust. Bake 25 to 30 minutes or until center is set. Cool completely. Cover and refrigerate at least 2 hours or overnight. The longer the better. 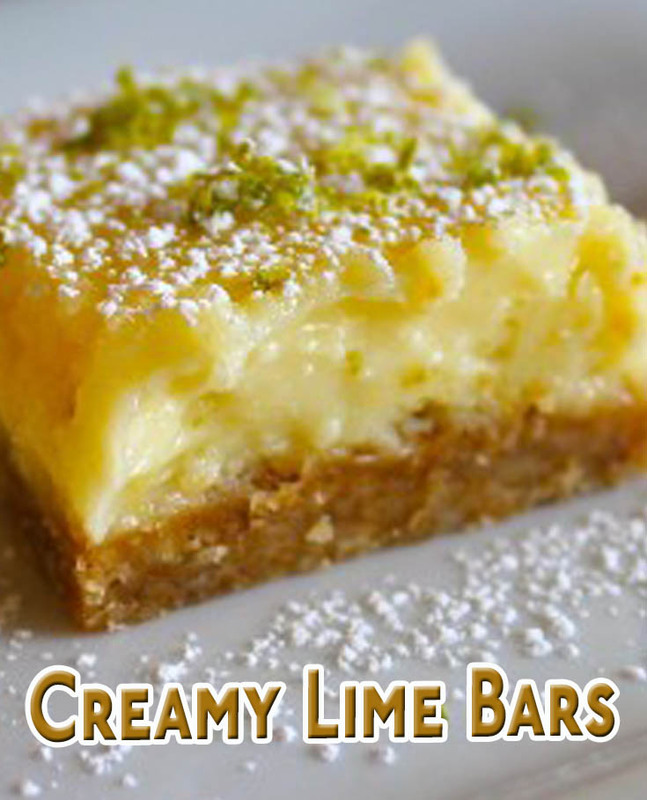 Sprinkle with sifted powdered sugar and remaining 2 tablespoons grated lime peel just before cutting into squares to serve. Store leftover squares in refrigerator.